On Tuesday april ,18 ,2017 I lost a cashiers check for 676 $ It was returned to me the same night to my doorstep by a man named Sergio, who I soon came to realize was living with his wife and children out of a motel near by . I was touched by his actions and how he initially refused to take any reward . Theres still A lot of Good people in the world and Sergio is a living example . Lets Help him get on his feet again ! Even the smallest act of caring has the potential to turn a life arround . Through acts of kindness, miracles happen: WE REACHED OUR GOAL! Starting with the initial goal of $5K, because of you, we surpassed and reached the edited goal of $20K for the family. Okay, here comes alot of love to all of you who have been the backbone to this blessing. From the bottom of our hearts, thank you to every single one of you who has shared, donated, said a blessing or sent emotional support towards the success of the campaign. Without you, this would have just been a dream. 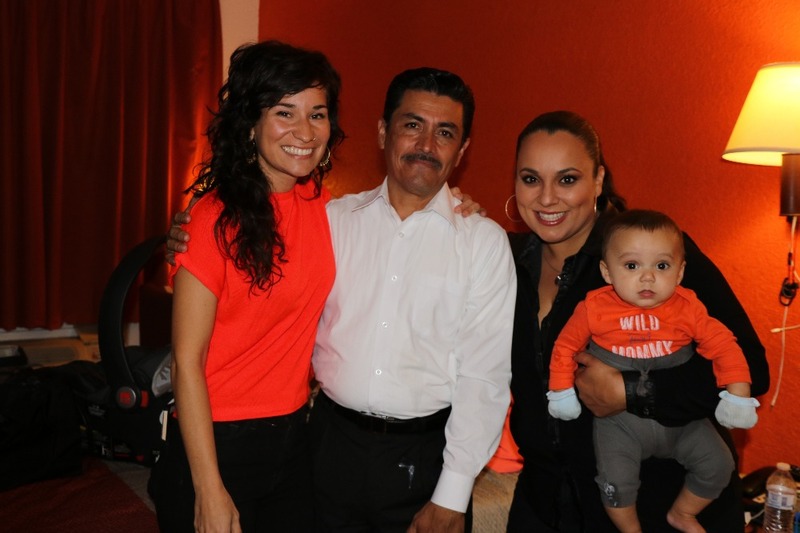 Because of you, this week The Juarez family moves into a home of their own. A special thank you to my husband and family for being so supportive through this amazing and unexpected journey. To those individuals and organization's that went out of their way to make sure the world heard our story, we have unwavering gratitude. To every person who supported this campaign, you have been the biggest inspiration & apart of this life changing experience. So much love to all of you. We will keep you up to date as thing progress for the better with Sergio and a fresh start for the Juarez family. Don't stop believing in miracles. You never know who is going to help you and who you're going to help in this world. With love & amazement, Yesenia. 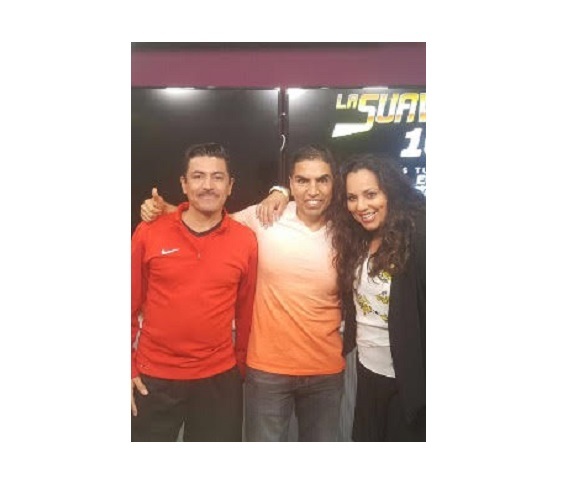 Gracias, DJ Miguel y El Show de Piolin! Gracias de la familia Juárez! This support just continues to floor us. 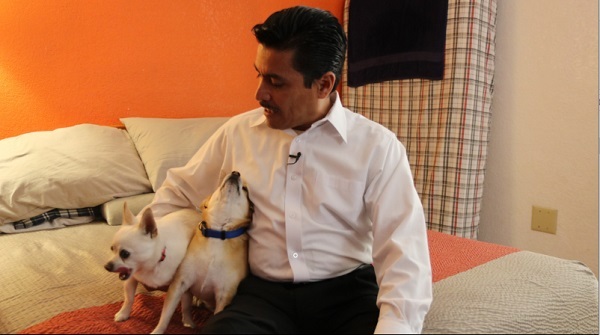 Because of you, The Juarez family will be able to find an apartment. Have meals together. Put gas in their car. Begin to take steps back towards their life. This week, because of this support, Sergio was able to retrieve the family dogs from the pound (two middle aged chihuahua's that have been his life long partners). All though you can tell they've been through it, they were glued to his side with so much gratitude to be back with the family this week. Please take a moment to watch this Thank You video from Sergio, my son and I- we hope this inspires you be kind to one another and remember that no act is too small! From the Juarez Family, Thank you! The Juarez family and I are completely blown away with the continuing support from all over the world. So much gratitude to everyone making a difference in the lives of this family. It's such a testimony of how incredible people can be when they stand up for one another. 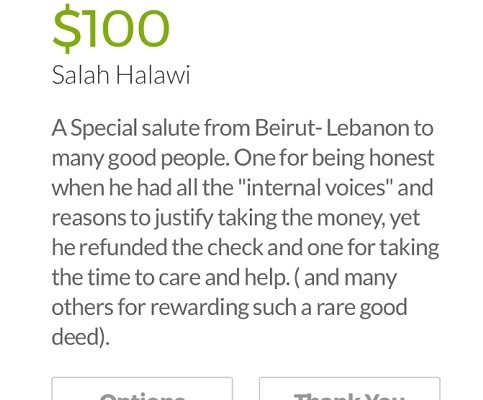 I wanted to share this one donation that came in all the way from Lebanon. Your kind words are so inspiring, Salah Halawi! Thank you for your support. Our hope is that from this campaign you'll be inspired to reach out and take action for someone in your own life. The domino effect is real. Is there a way to connect with them and ask if personal donations are accepted. I've been sharing your story at work and already had several people ask me about possible grocery, clothing and toy donations. I'm willing to help collect donations. They are always hiring cleaning crew at the Airport . Well, luck is not for everybody, I guess, I am a 57 year-old man and back in 2012 I lost my job because of an injury, then my house and the last thing I could ever think, my wife was diagnosed with ovarian cancer in 2015, kidney failure etc, but thanks God she's still alive and struggling to survive, God bless this family. This is a wonderful thing you've done Yessenia! God bless you & Sergio & his family!!! People can donate to whatever cause they want to and its great that this person is so honest and returned this person's check. Back in the late 1960's,My grandfather found hundreds of dollars ( a lot in the 1960's) in an envelope and reported it to a country store in his small town that also had a post office in it and a pit stop for many in the small town and it belonged to a man with a pregnant wife and the grateful man tried to pay him some of the money he returned and my grandfather refused to be paid anything. He just wanted to be honest and return to this man, what belonged to him. I have a fb friend who is disabled and has bad health problems. She is in debt and struggling financially and even having difficulty to buy food and toilet paper lately. I am also struggling financially so I can only help her once in a while with small amounts. Why do people want to give so much to someone for just doing the right honest thing and this disabled fb friend has such difficulty to get help with basic necessities? If anyone wants to help my disabled fb friend Anne, feel free to. Any small amount would be appreciated as she has been having difficulty to buy food and even toilet paper lately. Thank you. Yes I'm a mother of four who has been without a home for months, I have been working very hard to get us where we need to be but I don't have the funds to help us get place in a home. I'm a single mother wish and praying for a home for me and my kids and I have made a GoFundMe account for Helping Homeless Mothers like myself. The donations and contributions will go towards helping my kids get back and forward to their doctors and schools, it will help get us a home of our own and furniture and etc. We have been through a lot in our life and pray everyday that God break us through. 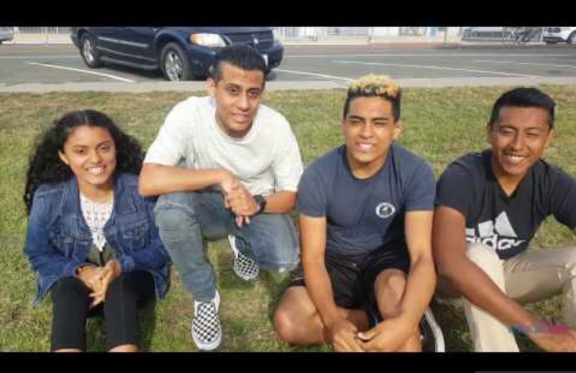 I have three boys and one girl aged from 17-10 and we stick together no matter what the cause is cause we know there will be a light at the end of this tunnel. So please if you could help by donations or whatever is you can do for my family. Thank you and have a bless and safe day. Please, help support my Gofundme. God bless you and your family for your honesty and trustworthiness. "Make America Great Again!" Thank you Sergio for your kindness to Yesenia. Wishing you and your family the best.